With the 20 amp Potted Solar Controller, you can maximize battery life with efficient and controlled charging. An economical solution for industrial applications. The Go Power! 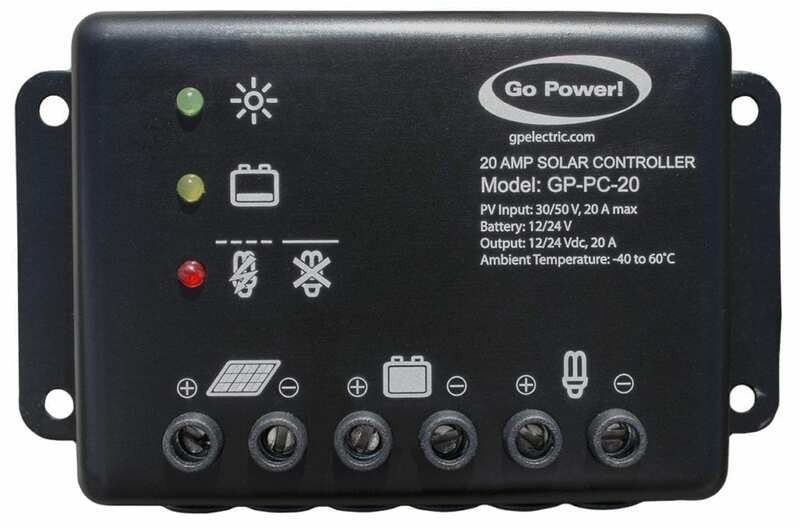 20 amp potted Solar Controller regulates current flow from the solar panels to the battery and prevents overcharging to optimize battery lifespan. With a weather resistant enclosure, the GP-PC-20 is ideal for industrial applications. The controller is compatible with 12 and 24 volt battery banks.